Performance, noise, speed, and power have all long been words synonymous with Porsche and its high-end vehicles. The year is 2018 however and while these words retain their importance to Porsche enthusiasts, other words have become equally important. Words such as “efficiency” and “eco-friendly” have gained equal significance in the modern world of performance cars. 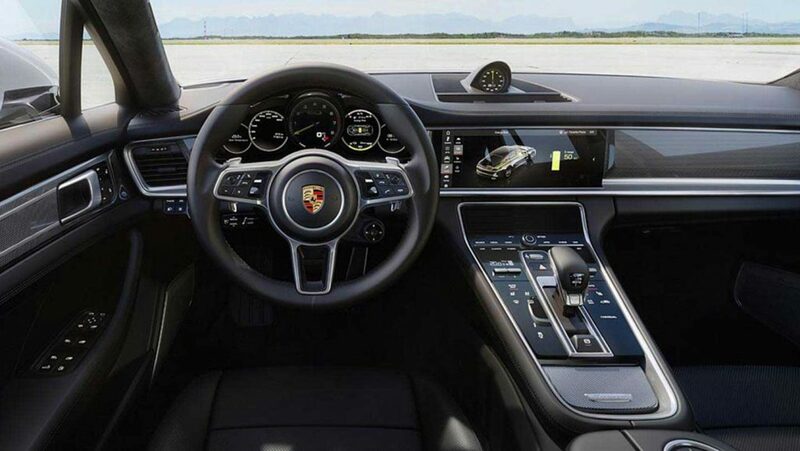 It is in this context that the Porsche Panamera Turbo S has emerged. What Is Porsche Panamera Turbo S E-Hybrid? The new Porsche Panamera Turbo S E-Hybrid is the 2018 version of Porsche’s popular luxury four door sedan. This new version is a replacement for the previous range’s Panamera Turbo S. It is a front engine, all-wheel drive hatchback which seats four people. 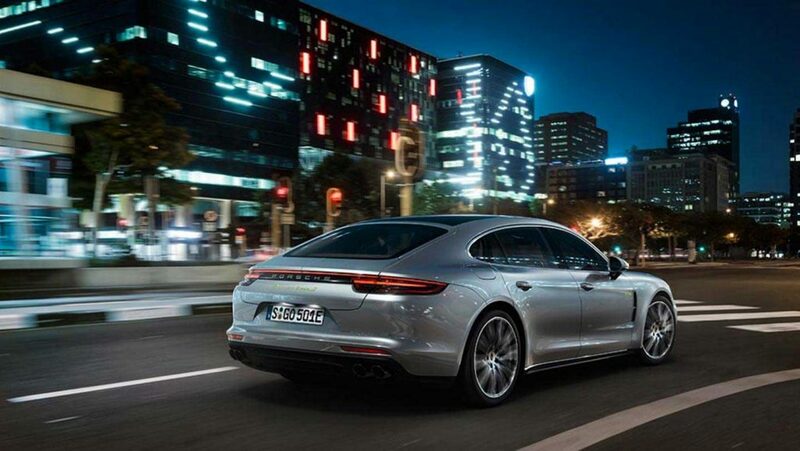 Although the (much criticized) hatchback shape was a hallmark of the earlier models, the newer Panamera models (such as the 2018 model) have veered more towards resembling the classic 911 shaped back. This is seen as a welcome change amongst many enthusiasts. What About Efficiency And Eco-Friendliness? The $185, 450 you will pay for this vehicle should be a clue that the high-end performance of the gas-powered engine is only telling a part of the story. As its name states, the Panamera S E-Hybrid is indeed a hybrid. Meaning it does not source power from only one fuel source. The car is also capable of drawing power from its 14.1kWh lithium-ion battery pack. The intelligent 136-hp electric motor can achieve a range of 15 to 20 miles of purely electric powered driving but the real magic happens when it works in conjunction with the 550-hp petrol engine. It can achieve 626 lb-ft of torque from an unbelievably low 1400rpm meaning that power is always available even when navigating the worst of modern city traffic. When in combined mode the car is capable of achieving a fuel economy of 43 miles to the gallon. On the other end of the scale and mentioned earlier, when combined, the engine and motor can generate the stunning performance that comes with the 680hp it produces. The new 2018 Porsche Panamera Turbo S is therefore everything it promises to be and more. An intelligent hybrid which seamlessly switches between and combines electric efficiency and eco-friendliness with the high-end performance that is expected from Porsche. It represents what luxury performance cars of the future will most likely look like where power and performance are finely balanced with efficiency and eco-consciousness.